British beauty Jasz Vegas has an impressive skill set and has brought to together burlesque and daring magic. She is original, extremely dangerous and totally breathtaking. This stylish entertainer stars in the hottest new magic show to hit the UK mainstream: Killer Magic. 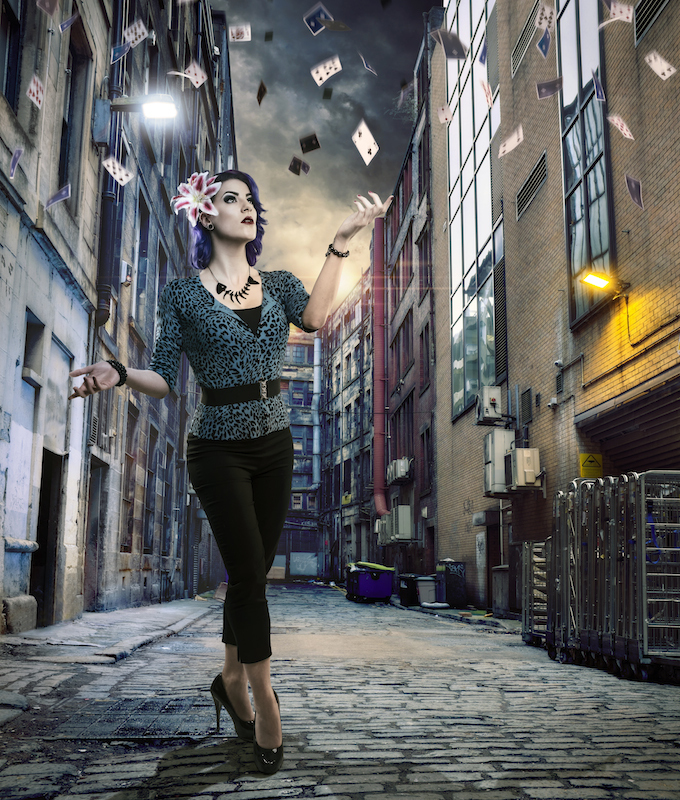 Jasz Vegas performs a style of magic that is unlike any other performer on the scene. She combines it with her dazzling burlesque skills, has edge and brings a truly contemporary feel to the magic and burlesque scene. Her magic can almost be a freak show and she goes further than any female magician has before. In Killer Magic, Vegas competes against four other of the top magicians in the country to create the most incredible magic and avoid having to perform a ‘Killer Trick,’ an illusion or stunt that has killed magicians in the past. We had the opportunity to chat with the only female Magician on the show, Jasz Vegas. What interested you in Magic? When I was 12 years old I had a Magic set and I used to perform shows to my family. My love of Magic and performance grew from there! What interested you in Burlesque? When I first saw Burlesque I knew instantly that it was what I wanted to do. The art of using your sexuality to take your audience through a journey of tease and anticipation appealed to me so much. I also love the costumes, so glamorous! What gave you the idea to incorporate both of them together? I love Magic and I love Burlesque so mixing my two passions seemed perfect for me. What is the biggest challenge you face with this line of career? As with any career there are challenges you must over come. This is why I love it so much! I like to challenge and push myself. State 3 characteristics one would need to be successful in this industry? It’s hard to say as I think it’s different for everyone. Being you is really important. Your personality is what makes you unique. Determination is crucial in the performance industry, as you have to keep pushing yourself to be bigger and better. Last but not least, Be kind. No one likes a nasty person. Many people inspire me. My biggest inspirations include David Copperfield, David Blaine, Kat Von D and Dita Von Teese. Their business mind and passion for their art are inspirational. What can we expect from you in this show? Being you is really important. Your personality is what makes you unique.